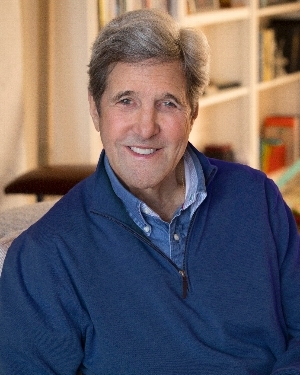 Fri, October 5, 2018 1:00 P.M.
John Kerry is a decorated combat veteran thrice wounded in the line of duty, a five-term United States senator from Massachusetts, the 2004 Democratic presidential nominee, and four-year Secretary of State. He is currently the Distinguished Fellow for Global Affairs at Yale and the inaugural Visiting Distinguished Statesman for the Carnegie Endowment for International Peace. His books include A Call to Service: My Vision for a Better America, The New War, and This Moment on Earth. His new book is a revealing memoir that follows his journey from son of a diplomat to disillusioned Vietnam vet, longtime legislator, and world leader. Michael A. Smerconish is the host of The Michael Smerconish Program on SiriusXM POTUS Channel 124, the host of CNN’s Smerconish on Saturday mornings, a Sunday Philadelphia Inquirer columnist, and a New York Times bestselling author. This is a book with ticket event for auditorium ticket holders. You may collect your book when you arrive at the library. All books will be pre-signed.